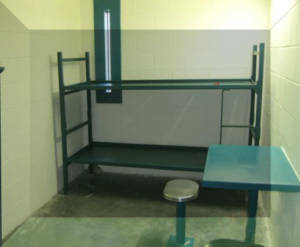 The Department of Detention is responsible for the operation of the Santa Rosa County Detention Facility. We operate the facility 24/7 with a professional staff of sworn Detention Deputies, civilian support staff, contract medical and kitchen personnel. Our facility has a max capacity of 682 inmates. We have 21 dorm housing units for inmates with a medical unit, and admission, classification and release (ACR). The facility is a podular style indirect supervision facility that opened in August 1997. 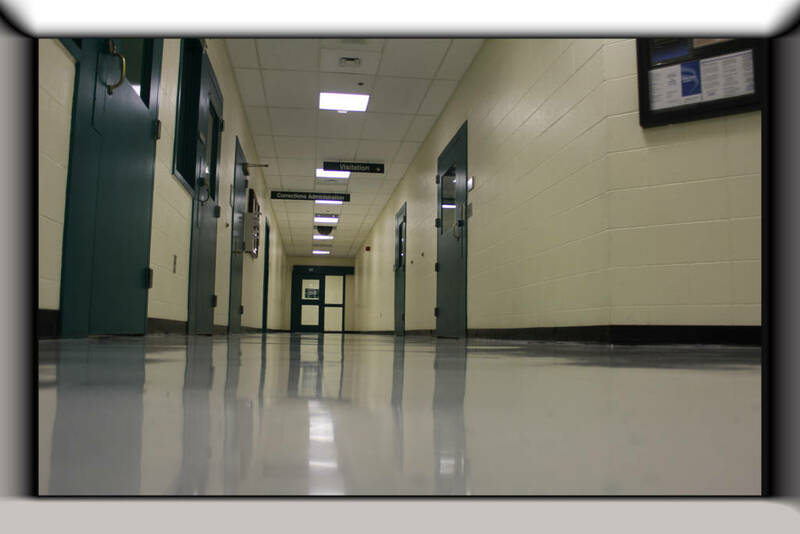 Our facility houses all custody levels of pretrial and sentenced inmates. Inmates are housed based on their custody level as determined by our Objective Jail Classification System. The average daily population for 2016 until May 2017 was 589 inmates. Our average peak inmate population during 2016 until May 2017 was 624 inmates. The Detention Division ACR Unit processed (booked) 8,021 inmates from June 1, 2016 to May 31, 2017. The ACR Unit operates with a total of one supervisor, 4 Deputies and 1 civilian Booking Clerk. To keep overtime at a minimum, one of these staff members are flexed off during the pay period. Processed 634 Felony registrants from January 2016 to May 2017. 1815 sexual offender registrants from January 2016 to May 2017. 53 juvenile intakes from January 2016 to May 2017. Our GED program had 5 students graduate within the first 6 months of 2017 with 2 graduation ceremonies. The main goal of Inmate Programs is to provide offenders the opportunity to improve their educational level, learn new work and life skills, and begin the treatment process to confront substance abuse and domestic violence problems. All programs are designed to provide a constructive means for self-improvement while incarcerated, and to prepare inmates for release through referrals to similar community programs. The ERT team is a team of highly trained correctional Deputies tasked with responding to incidents, riots, cell extractions, mass searches, or disturbances in the Detention facility. ERT team members are required to be contactable and available to respond at all times. ERT is founded upon a team concept and is made up of highly motivated officers. The Detention ERT team has 17 current members assigned to the team. The candidate for the ERT team must pass a physical agility test, interview process and possess the skills necessary to be accepted as a team member. The Detention Division utilizes the Objective Jail Classification System to classify inmates. The OJC system assesses every inmate’s custody and program needs and is considered one of the most important management tools available to jails administrators and criminal justice system planners. The Detention Division participates in community programs in order for us to “give back” to our community. The Detention Special Programs Initiative participated in the following programs: Coats for Kids Canna for Manna Cram the Van.The Detention Shifts compete with each other during the “special programs” to see who can gather the most food, coats or school supplies. The winning shift (they are all winners for participating) receives a pizza party or sub party from monies donated by Detention Administration personnel. In December 2016, there were approximately 137 services conducted for inmates. 284 Bibles distributed to inmates 42 inmates received Pastoral counseling. Our inmate work crews perform many duties that would otherwise be a cost to the taxpayer such as maintaining facility grounds and building projects. We use approximately 98 inmate workers on a daily basis for various job duties within and outside the facility. The Sheriff’s Office houses Federal and FBOP inmates by contract with the United States Marshal’s Service. From June 2016 to May 2017, approximately 50 inmates were housed monthly for this contract. These funds generated are deposited in the Santa Rosa County General Fund. The average length of stay for an inmate from June 2016 to May 2017 was 28 days. Average monthly transports to outside medical: 6% Average monthly transports to court actions: 66% Average monthly transports to DOC: 4% Average monthly pickups for court:6% Average monthly Federal transports: 3% Average monthly video court: 10% The Unit travels approximately 75,000 miles per year transporting detainees.